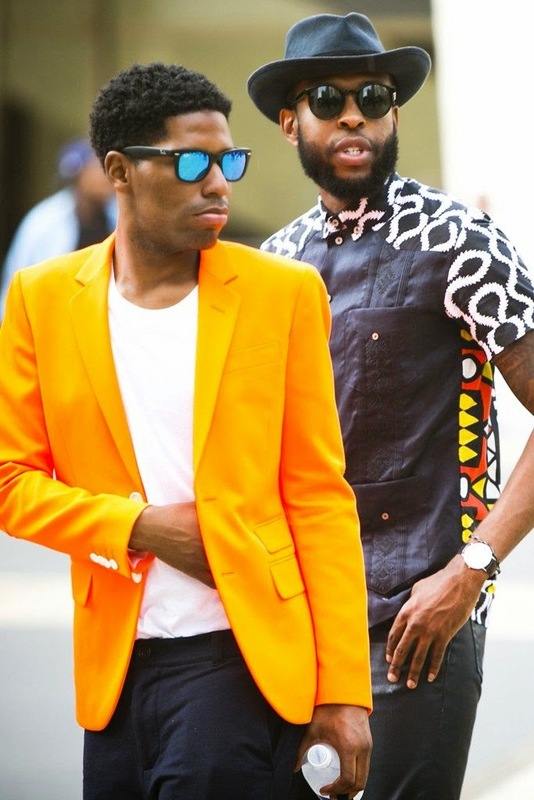 The dust is just settling on New York Fashion Week's Spring/Summer 2015 shows, and as always the street style was as much on display as the designer's runway looks. Sunglasses were on prominent display again this year, but one trend was a resounding winner: Mirrored Sunglasses. Whether you paired them with classic aviators or bold plastic frames, wore them in the new-again round shapes or more traditional lens cuts, or sported the mirrors in color hues from blue to red, these sunglasses were everywhere. The take away? Mirrored sunglasses are very versatile -- you can pair them with almost any look and add an element of futuristic edge. While the look is definitely strong, if you talk to people in the optical industry, you might hear some negative feedback. Mirrored lenses can have some associated glare (the front surface is nothing but reflection when you add mirrors), so if you are glare sensitive or want sunglasses with the best vision of your life, don't get mirrored lenses. But if you are wanting to embrace a really fashion-forward trend that is here to stay (for the next season at least), mirrored lenses are definitely a style to embrace! Are you feeling the trend? Please post any links to mirrored sunglass styles that you are liking and I will be happy to feature them in a coming post!